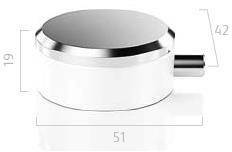 Aqualisa Infinia > Digital Shower Pack 45 (Chrome & White Tondo Handles, GP). Aqualisa Infinia Digital smart shower pack 45 for gravity pumped systems (thermostatic). 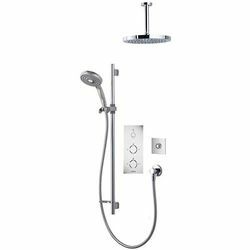 Complete with slide rail kit, valve, remote control, 250mm round shower head, ceiling mounting arm and chrome/white Tondo handles. Dual outlet for two shower heads (2-way). 3 spray shower handset (130mm). Brass round wall outlet (chrome plated). Round lightweight shower head (250mm). Easy fit ceiling mounting arm (450mm). Start/Stop button: Press button to start. 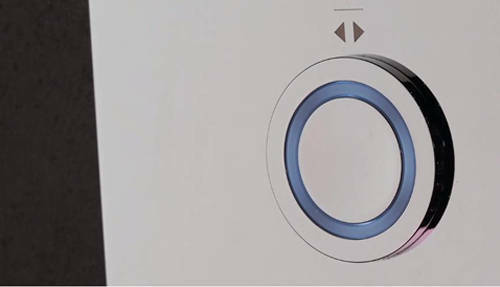 Water will dispense at the flow and temperature set by the controls. 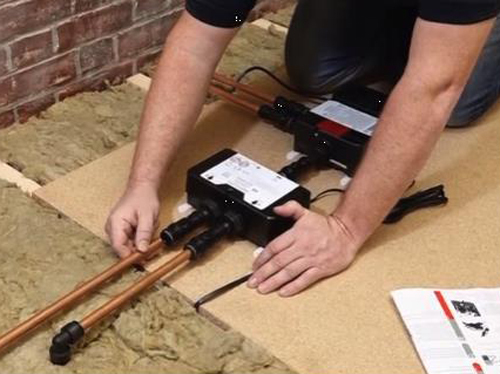 Separate controls for water temperature and flow. LED Display: The LED light will change colour accordingly, spinning clockwise or anti-clockwise to denote increases or decreases in temperature (red or blue), flow (white) or a change of outlet (purple). Remote control with LED: Press button to start / stop. Ultra this backplate which is just 2.5mm thick (258H x 115W mm). Finish: Chrome backplate with chrome and white Tondo handles. 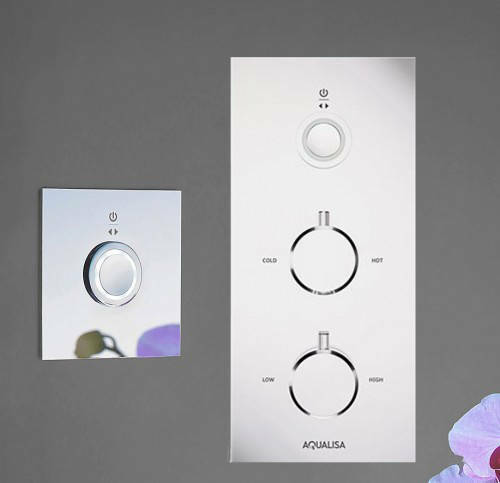 5 Year guarantee: Aqualisa guarantee this smart digital shower valve for 5 years (parts and labour). 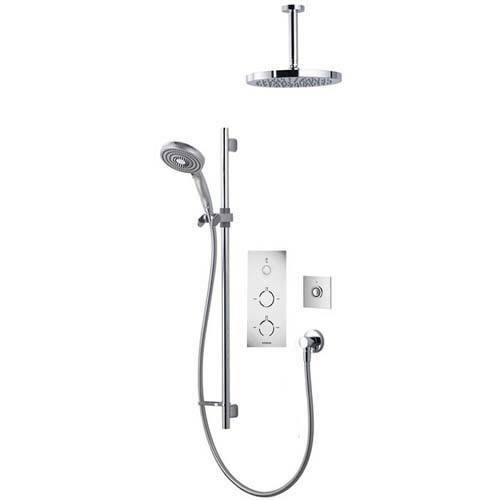 The Aqualisa Infinia digital shower collection offers your own sense of style and individuality. 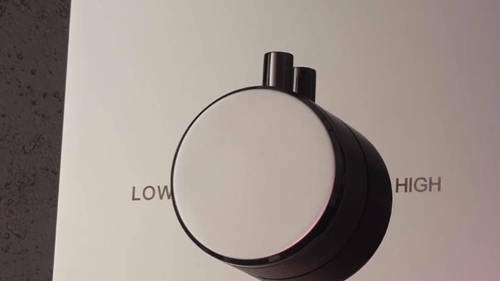 The hand polished shower control can be tailored with a choice of three different and equally elegant designer dials: Piazza, Tondo or Astratta. 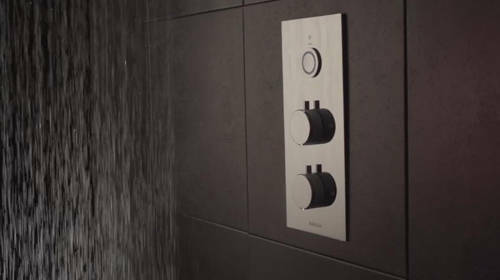 The Infinia delivers all the trusted benefits of a thermostatic valve, with the increased efficiency and sleek design of intelligent, smart showering. Handles come in a choice of two finishes, chrome and white/chrome.